What a thrill it was to discover this morning that One Brother Shy has ascended to #1 on the CBC Books Canadian Fiction Bestsellers list. 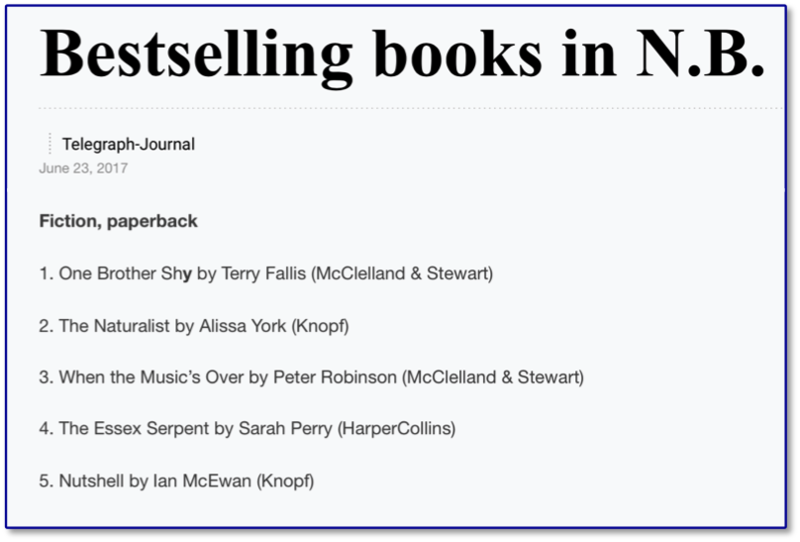 This is wonderful news and I’m grateful to everyone who has supported this novel including readers, booksellers, and my great team at McClelland & Stewart. According to the Telegraph-Journal, One Brother Shy also seems to be doing well in New Brunswick. Thank you New Brunswickers!